How do I start my book – Getting off the porch! afford to write and publish a book? Where will I get the $20,000 to invest? If you have every asked yourself these questions, you need to read this article! Deciding what to write about. After mulling it over for a while, I decided to write about something I loved. When I first joined the Navy back in 1983, I didn’t care too much for it. I was a nobody at the bottom of the ladder. I had to work all the time, stand watches outside in the freezing Virginia weather, and I hated getting up at 4:00 every morning. But a few years later, I fell in love with the Navy. By the time my first hitch was up, I had walked in forty different countries. Yes, my love for the Navy is what I was going to write about. Finally, I could start. could I remember all the things I did in my life? I finally decide to start with a blank computer screen and dates. Since I joined the Navy in 1983, I started there. I typed nothing but dates at first. evaluations had notes on them that told me what was happening and who I was with. All of these facts gave me a timeline, and I could easily remember everything that happened 20 years before. The book is finished… now what? book was a really good one, so any publisher should want to take my book and run with it, right? Wrong. When I started looking at publishers I could not believe what I was seeing. They wanted thousands of dollars just to publish a book that I wrote. This is where I started making all of my mistakes. Editing – Did I mention that I failed high school English? I was the worst speller south of the Mason-Dixon line. I remember my teacher telling me that there was no “h” in sugar. Editing a book can be very expensive. I decided to edit myself, and that was a lot like the blind leading the blind. My first edition wasn’t pretty. The Cover – Who would have thought the cover of a book would be so important? After all, you can’t judge a book by its cover, right? WRONG! If your cover isn’t eye appealing, nobody will pick it up. Publishers would be happy to help you with that too, but you have to pay for that. Marketing – Publishers need a substantial amount of money to print and publish a book. Mine wanted $4000 for the first printing, with promises to show the book are three book fairs. How about internet sales? Your book would have to be submitted in a format that online books companies can use. This usually means that your publisher will have to retype your book. Suddenly, my proud accomplishment was more of a problem that anything. My bubble had burst. When I first asked that question… How do I start my book – I was a baby lamb in a big sunny pasture. By the time I learned about all the hardships of writing my first book, I was crushed soda can in the sewers of New York. But time showed me that there was also a way to publish my book and sell it worldwide for no cost at all! That’s right… NOTHING! After sending my first book to an actual publisher and spending over $5,000, I still had almost no sales. I was so disappointed in what should have been a thrilling, fulfilling accomplishment. I still needed to pay for marketing, and I had just about run out of money for my book. A couple years later, I published the same book worldwide for nothing. My book is on sale anywhere you buy book, worldwide. You edit the book yourself – I asked a couple of my old friends to read my book and circle any mistakes they found. When they were finished, I corrected all the errors in grammar and spelling, saving my a couple thousand bucks! You make your own cover – After looking through a million pictures, I found a very simple picture I took on one of my submarines years before. It was just a simple picture of the sea, and it was perfect! You pay NOTHING – The free publishing site advertises your book electronically, just as you would post something on you favorite website. They will print the book as the orders are taken, after they have been paid for. 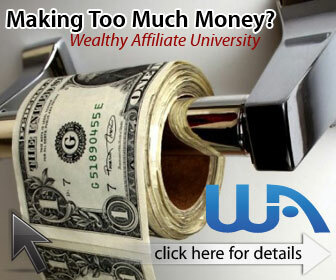 The takes all the financial burden off of you. Thanks to these free publishing sites, I have published nine books so far. Now I won’t lie to you… I am not a best-seller, but I have sold over 3000 copies of “My Navy, the voyage of a submarine cook” in Scotland, of all places. It seems the retired sailors there appreciate a good naval novel. Whodathunkit? If you have some money to invest and would like to have your book published by a professional publishing company, that will get you on the fast track to book stores and shows. What a great story in itself – the story of how the story became the story! I really enjoyed reading about the process you took to write your first book. I have so many ideas jotted down of stories I want to write but, like you am too scared to just do it. As you said what if no-one wants to read it – I’ll feel like I failed. I have a number of projects on the go this year with lofty goals to meet but you have inspired me to have another go – for me! I have been interested in writing a biography about a friend. Any suggestions as I have never written a book but it is something that I have always wanted to do. Hi, Monika… If I were you I would start out with the relevant dates. I would make files labeled “1986, 1987, 1988” etc., then you can write the specific events in those files. Once all of your facts are in order, you can start start writing. I did this with my autobiographies and it turned out to be quite easy. I wish you the best of luck in your book! This is a really interesting article, thank you. I never thought that just anybody could be a writer, and it is a matter of just getting out there and doing it. Thank you, you have given me something to think about! I have often thought about writing a psychological thriller…. I’m also an author! I’ve written and self-published 15 books. I can remember the first time like it was yesterday. There is so much information on the internet, it can be overwhelming when you’re trying to find sound advice for how to publish a book. Then, after you’ve published the book, you have to learn how to get sales. For the most part, I followed a similar path as you did. I did pay for editting and cover design, but other than that, I did many things on my own. Thank you for the great article with a great info. I’m planning to write a book and didn’t know where to publish. Or I would say how to publish because I have no money for this goal. Now I know thanks to you. I will try them. I’ve never thought it can be possible. What a great article, it was so entertaining! Your personality and sense of humor really came through in the article, excellent job! I like your suggestions on how to save money in the process, very beneficial. Besides that, I found it very inspiring. I love what you said about having your grand kids pick up a book and know that their grandparent wrote it, I love it! I think I might just have to start my biography…. thank you! Thank you, Robin, for your kind words. You really do need to start that biography… I promise, you will be so glad you did. I appreciate your visiting my website… and I look forward to one day reading “The adventures of Robin” (lol). I wish you the best in your writing endeavors. Have a blessed day! Hey Clay that mu uncle’s name. Not very common but still a cool name. I published my first eBook last year. It has it’s own ISBN number and everything. It has over 25,000 words and was formatted to be read on any E reading device or app. My book is called. How to Remedy Psoriasis Naturally, and I’m very proud of writing it. I have only sold a few copies online but I am still working on monetizing it via my website. I was getting service to my vehicle one day I overheard this lady talking about graduating with a English Degree. I asked her if she could edit my book that I just finish for 60 bucks and she said yes. She caught a lot of errors and im very happy about that. Congratulations on selling over 3000 copies. That is something cool indeed. I heard this note down the grape vine. Some buyers will refuse to buy a digitized book if it’s priced too low, because they think it would be a cheap read. They would rather buy a more expensive book, 5,6,7 and up. Anything lower and they would see it as a cheap read. Of course if it’s too expensive they probably won’t buy it either.